Oracle数据库服务器进程有两种:Dedicated Server process, Shared Server process. 针对不同的业务类型两种模式各有千秋. 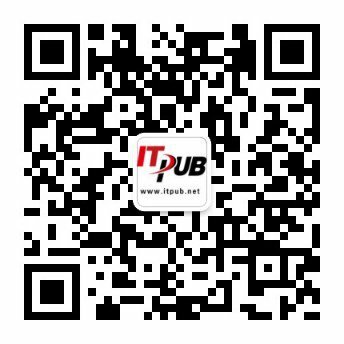 专有服务器模式中,对于每个连接到数据库实例的用户进程(user processes)都会创建一个专有的服务器进程(Dedicated Server Processes)来处理请求(requests), 并创建一个会话(session).只有当用户进程结束才结束会话并释放资源. 共享服务器模式中,用户进程并不会和服务器进程直接通信,而是通过分配器(Dispatcher)来协调管理会话连接.当用户创建连接时,由 dispatcher把该连接绑定到vitrual circuit, 让后把这个virtual circuit放到一个公共队列(common queue)里,接着由共享池里空闲的shared server来处理请求,并通过dispatcher把结果返回用户进程. 通过这种共享的方式可以实现'用很少的服务器进程来处理大量的客户连接'. SHARED_SERVERS Specifies the initial number of shared servers to start and the minimum number of shared servers to keep. This is the only required parameter for using shared servers. MAX_SHARED_SERVERS Specifies the maximum number of shared servers that can run simultaneously. SHARED_SERVER_SESSIONS Specifies the total number of shared server user sessions that can run simultaneously. Setting this parameter enables you to reserve user sessions for dedicated servers. DISPATCHERS Configures dispatcher processes in the shared server architecture. MAX_DISPATCHERS Specifies the maximum number of dispatcher processes that can run simultaneously. This parameter can be ignored for now. It will only be useful in a future release when the number of dispatchers is auto-tuned according to the number of concurrent connections. CIRCUITS Specifies the total number of virtual circuits that are available for inbound and outbound network sessions. ADDRESS Specify the network protocol address of the endpoint on which the dispatchers listen. PROTOCOL Specify the network protocol for which the dispatcher generates a listening endpoint. DISPATCHERS Specify the initial number of dispatchers to start. CONNECTIONS Specify the maximum number of network connections to allow for each dispatcher. SESSIONS Specify the maximum number of network sessions to allow for each dispatcher. Specify the duration of a TICK in seconds. A TICK is a unit of time in terms of which the connection pool timeout can be specified. Used for connection pooling. LISTENER Specify an alias name for the listeners with which the PMON process registers dispatcher information. Set the alias to a name that is resolved through a naming method. MULTIPLEX Used to enable the Oracle Connection Manager session multiplexing feature. POOL Used to enable connection pooling. SERVICE Specify the service names the dispatchers register with the listeners. 关闭共享服务器模式只需要设置SHARED_SERVERS=0. 此时没有新的用户可以连接到共享服务器模式. 然而,当设置SHARED_SERVERS=0后,仍然会保留shared server直到用户退出连接. 保留的shared server的数量和前面设置的SHARED_SERVERS, MAX_SHARED_SERVERS的值中较小的那个值一样,如果此时MAX_SHARED_SERVERS也设置为0,所以的shared server都会被终止,剩下的请求将会被保存到队列里,直到SHARED_SERVERS, MAX_SHARED_SERVERS参数被重新设置非零值.